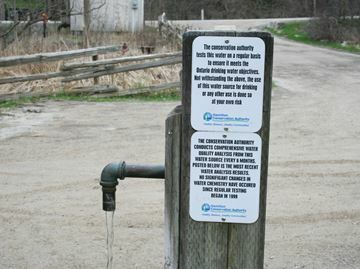 The Hamilton Conservation Authority has put off a final decision on whether to close a popular Ancaster artesian well for another month, but doing nothing isn’t seen as an option. Matt Hall, director of capital projects and strategic services, said the authority’s lawyers and insurer have advised that as a public agency it has an obligation to abide by stricter new drinking water standards on arsenic that take effect next year. The authority’s conservation advisory board and city’s public health department have already backed a staff call to shut the Sulphur Springs Road well because arsenic levels are about double the new provincial limit for the carcinogen. “The choice really comes down to whether the water’s treated or the site’s closed entirely,” Hall said. According to a history compiled by the authority, the well is the best of nine test wells drilled by the Town of Ancaster in the early 1960s during a search for a suitable drinking water supply. It served Ancaster residents from 1965 to the mid-1970s, when the town hooked into the Hamilton region’s treated water supply. The authority acquired the well’s property in 1998 and initiated a controversial proposal to team up with a private company to bottle the water for profit, one ultimately abandoned because of regulatory and legislative hurdles. The authority decided instead to provide a free water-filling station with two taps that flow at all times, posting warnings that the well’s sodium content is above recommended limits and may be a concern for people with high blood pressure and heart disease. Arsenic wasn’t flagged, but over the years has consistently tested at between 0.017 and 0.023 milligrams per litre, falling within the present limit of 0.025 mg. 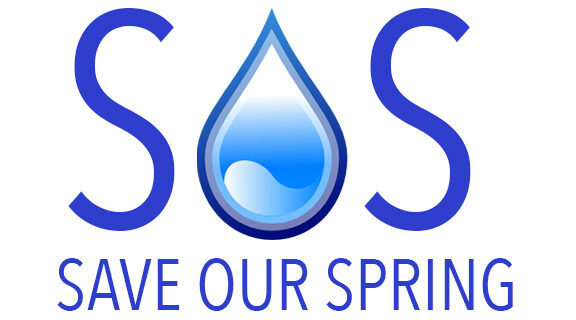 The new limit is 0.01 mg.
A staff report in 2002 estimated the capital cost of treating the water ranged from $30,000 to more than $500,000, with maintenance about another $35,000 per year. “It’s not the same as treating a home drinking water system where it’s a much more limited supply and the flow rate can be controlled,” Hall said. Directors were set to consider the staff recommendation at their May 3 meeting but tabled the matter until their June 1 session because Ancaster Councillor Lloyd Ferguson, who is a director, was unable to attend. Hall said if the recommendation is approved, staff plans to close the well this year and decommission it in 2018. It’s all a bottled water money grab. Like climate change is a carbon tax money grab.